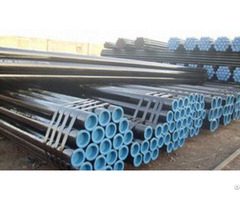 Business Description: PRIME STEEL PIPE is the solution provider for steel pipes and fittings. We are dedicated in providing high performance-price ratio steel pipes and fittings for the oil, gas, construction, energy and petrochemical industries. In prime steel pipe, we believe honest communication, expertise in steel industry, and prompt execution lead to strong long term relationships. Our professional team provides "one-stop procurement" services to coordinate with clients projects regulation, site and terrain, and ensure the best quality of products by assigning skillful experts at every stage of activities. To keep the honesty in mind, to win reputation by trust is our principle.